Pragya from Delhi, B.A Graduate. WRITING PHOTOGRAPHY CONTEN WRITING WRITING ABOUT CRICKE..
are one of expert skill area's of Pragya . 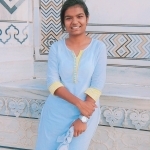 Pragya is working in Content Editors industry.